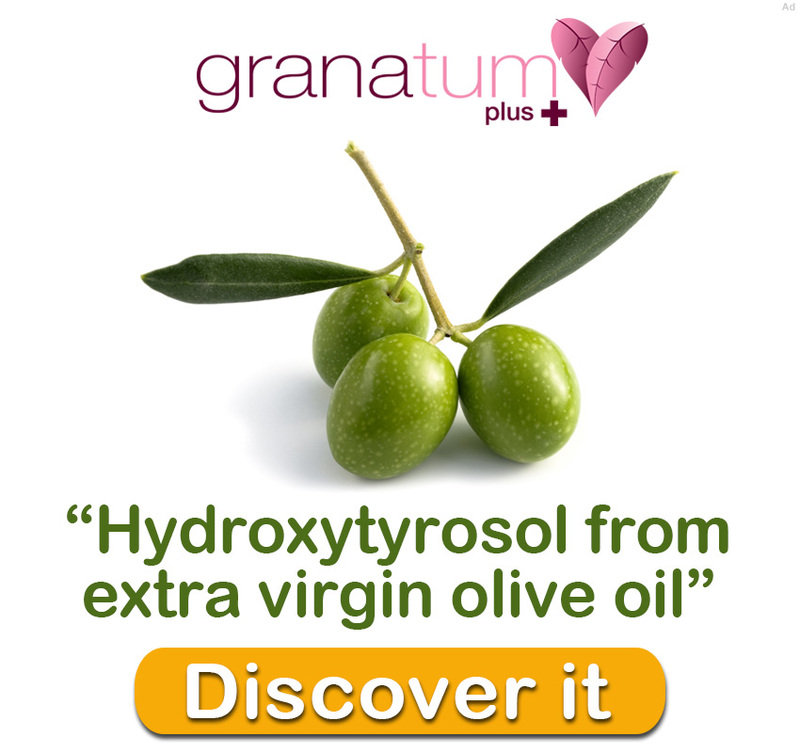 Plant polyphenols are reported to have bioactive properties, which may be used for protection against diseases. 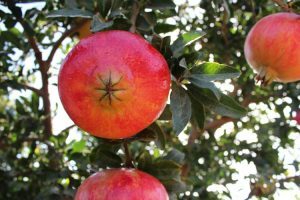 Therefore, the aim of this research was to investigate the bioactive activities of a pomegranate tannin polyphenol compound, punicalagin. 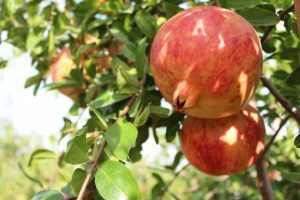 In particular, the antioxidant, antihypertensive and anticancer mechanisms were investigated. 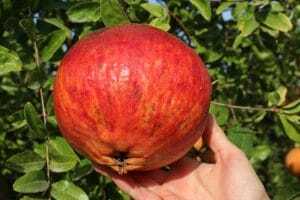 Punicalagin was found III pomegranate husk but not in pomegranate juice when analysed by HPLC and LC-MS. Antioxidant mechanisms involved hydrogen peroxide scavenging, ferrous chelating and reducing ability. 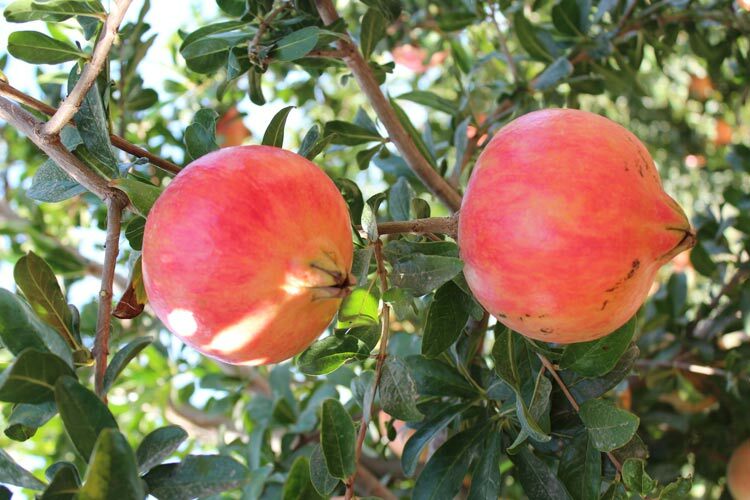 Higher hydrogen peroxide scavenging activity was achieved by 0.1 mg/ml from both punicalagin and pomegranate juice when compared with butylated hydroxytoluene (BHT) or trolox (p :S0.05). 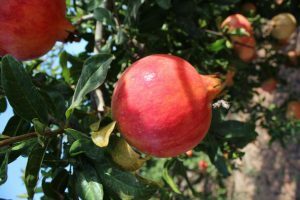 Punicalagin and pomegranate juice exhibited ferrous chelating ability significantly lower than Ethylenediaminetetraacetic acid. Cell toxicity induced by tert-butylhydroperoxide (3 mM) was significantly inhibited by punicalagin (5 and 10 ! !M) in Caco-2 cells; these results were confinned by cell morphology. Punicalagin protection was achieved by inhibiting cellular reactive oxygen species (ROS) as well as malondialdehyde levels. 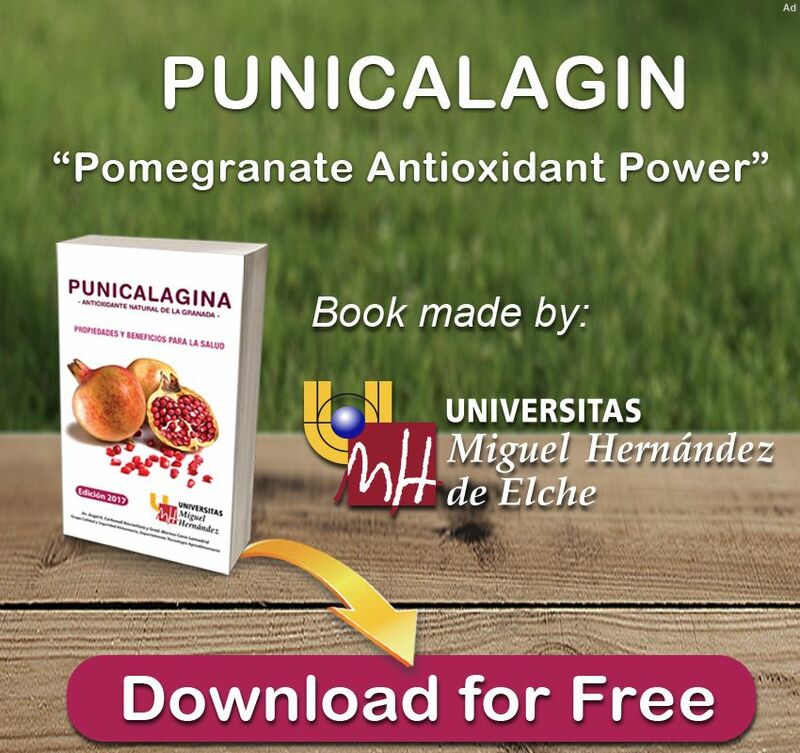 Glutathione level was significantly increased in stressed cells pretreated with both concentration of punicalagin, indicating good antioxidant activity for punicalagin. Punicalagin (1-60 ! 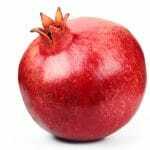 !M) increased nitric oxide production in endothelial cells (EA.hy926) through decreased ROS levels and increased endothelial nitric oxide synthase enzyme (eNOS) activation. Activation of eNOS enzyme was achieved by an II – increase of cellular calcium concentration. At the same examined concentration of punicalagin (1-60 f-tM), the activity of angiotensin converting enzyme (ACE) was significantly inhibited. The dual action of punicalagin as nitric oxide synthase inducer and ACE inhibitor showed antihypertensive effect. Punicalagin (50 and 75 f-tM) showed toxic effects on the colon cancer cell line (Caco-2) but not on a normal colon cell line (HCEC); both results were confinned by morphological studies. In the presence of punicalagin, cytoplasmic ROS production decreased, indicating antioxidant activity whereas superoxide radicals released from mitochondria increased due to mitochondrial dysfunction. Annexin V and caspase family (caspase 9, 8 and 3) activation confinned that cell death occurred via apoptosis pathway by both concentrations of punicalagin. The cell cycle was attested by punicalagin in the G liS-phase at the concentrations tested. The above findings indicating that punicalagin has antioxidant, antihypertensive and anticarcinogenic activity.